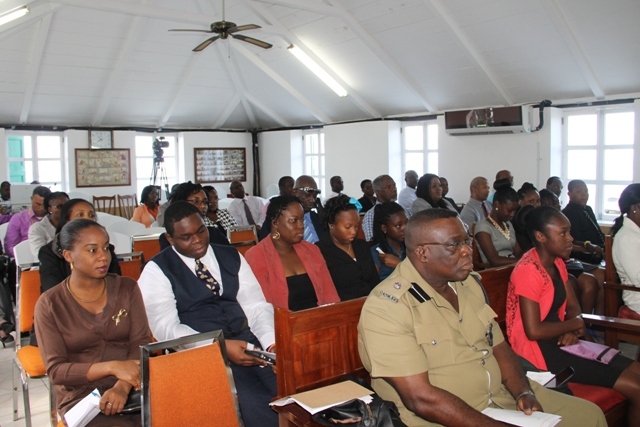 NIA CHARLESTOWN NEVIS (December 16, 2014) — There will be no new taxes for the budgetary period 2015. Premier of Nevis and Minister of Finance Hon. 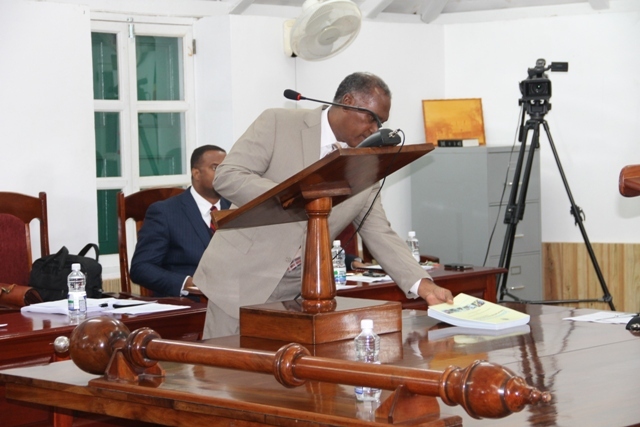 Vance Amory made that disclosure when he presented the Nevis Island Administration’s just over $165 million budget at a sitting of the Nevis Island Assembly, Hamilton House, on December 16, 2014. Mr. Amory said his Administration was fully aware of the need to protect the most vulnerable on Nevis and that any increases in taxes would reduce disposable income and push persons further below the poverty line. “To this end, My Administration aims to present a tax-free budget for 2015,” he said. The Finance Minister noted that the multi-million-dollar budget would be used for the Administration’s planned activities. “Mr. President, to execute its plans and priorities, my Administration intends to incur total expenditure in the amount of $165.22 million. Our revenue collection is estimated at $145.23 million,” he said. Mr. Amory also spoke to the budget for the NIA’s current expenditure in 2015 which had surpassed that budgeted for the previous year. “The budget for current expenditure is $133.91 million, representing an increase of 5.56 percent of that budgeted for 2014. The approved salary increase of 3 percent with effect from January 2015 has no doubt created an expansion in the allocation of resources to all departments and ministries. “It represents a tremendous sacrifice by taxpayers and is a testament to my Administration’s unwavering commitment to ensuring that civil servants are adequately compensated for the invaluable work they do. As a result, personal emoluments will rise to $66.78 million, representing 49.87 percent of current expenditure,” he said. According to Mr. Amory, there were noticeable increases in expenditure allocations for the Audit Department, the Ministries of Finance, Education and Social Development. “The increase in the allocation to the Audit Department is intended to enhance the critical objective of the department to provide value for money audits and the effective oversight and reporting on the stewardship of public resources. “The Department will work assiduously to resolve the backlog in the completion of the Audit Report for submission to Parliament. In support of such objective the amount of $406,178 is allocated to the Department,” he said. The allocation to the Ministry of Finance amounted to $54.77 million. Of that amount $26.61 million wold be allocated to debt servicing. Regarding the Ministry of Education’s allocation, Mr. Amory noted would be used to meet various objectives. “ Mr. President, there is a re-conceptualization of the Education Sector that embodies a coherent policy for the delivery of education services that articulates the difference between secondary, tertiary and technical or vocational education. “It is hoped that this change will assist further in the promotion of inclusive education that significantly increases the access and participation of individuals at these levels. To execute these and other objectives, the Ministry of Education is allocated $20.13 million,” he said. The allocation for the Ministry of Finance amounted to $54.77 million, of which $26.61 million is assigned to debt servicing. For Social Development, the Finance Minister explained that the allocation would be used for its myriad community programmes. “The amount of $6.97 million in current expenditure is allocated to the Ministry of Social Development. 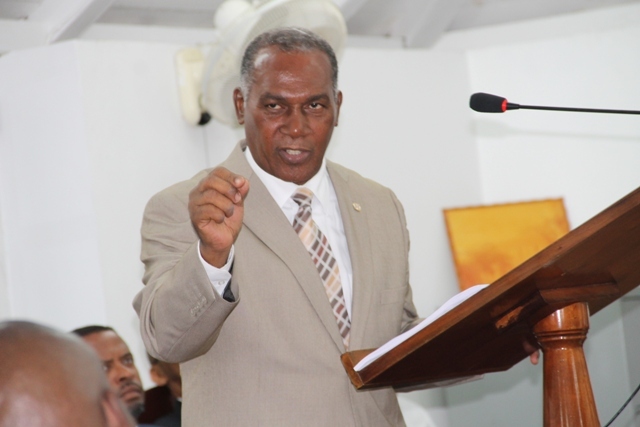 The Ministry is ever vigilant in its quest to deliver social programmes that serve the collective interest of the Nevisian communities,” he said. However, the projected current revenue for 2015 is $130.06 million and according to Mr. Amory, that figure represented an increase of 3.38 percent over the 2014 Budget. “The bulk of this revenue is expected to be collected by the Ministry of Finance. Revenue collections from the Customs Department is budgeted at $42.49 million; an increase of 6.85 percent over the amount collected in 2013.The estimated revenue collection for the Inland Revenue Department in $53.92 million with [Value Added Tax] VAT estimated at $18.25 million and Stamp Duties of $12.5 million. “Moreover, the revision of the fees and anticipated increase in business at the Financial Services Department will result in the collection of $13.50 million in revenue, an increase of 7.83 percent over 2013,” he said. The Finance Minister added that the development of physical infrastructure would be critical to the expansion of opportunities in both the short and long term. As such, the capital expenditure budget would infuse $31.31 million into the local economy.